Today a poem by Wang Peng. © 2018, Originally published in New American Poetry. 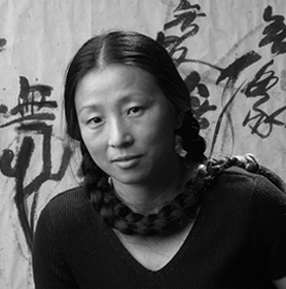 About the poet: Wang Ping was born in 1957 in Shanghai during the Cultural Revolution. She received her BA in English literature from Beijing University in 1984 and immigrated to the United States in 1985. Ping received her MA in English literature from Long Island University two years later. It was at Long Island University, when she accidentally walked into a creative writing class, that Ping started writing poetry, stories, and novels. She went on to receive her PhD in comparative literature from New York University in 1999. 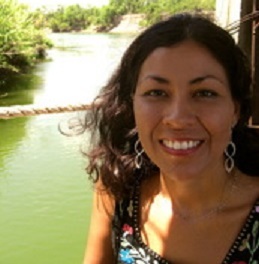 Ping is currently an associate professor at Macalester College in Saint Paul, Minnesota. Ping’s poetry collections include Ten Thousand Waves (Wings Press, 2014), The Magic Whip (Coffee House Press, 2003), and Of Flesh & Spirit (Coffee House Press, 1998). Ping’s poetry speaks to the interweaving of two cultures—Chinese and American—and what occurs at the sometimes stark and violent intersection of two different sets of languages, traditions, and histories. Ping, who explores her Chinese ancestry, identity, and matters of eroticism and gender in her work, has also authored short story collections, novels, works in translation, and academic texts that tackle these themes. Her nonfiction book Aching for Beauty: Footbinding in China (University of Minnesota Press, 2000) won the Eugene Kayden Award for the Best Book in Humanities, and her short story collection The Last Communist Virgin (Coffee House Press, 2007) won the 2008 Minnesota Book Award and Asian American Studies Award. Ping’s other awards include fellowships from the Bush Foundation, the New York Foundation for the Arts, and the National Endowment for the Arts. She is also the founder of the Kinship of Rivers project, which aims to raise environmental awareness and bring the communities along the Yangtze and Mississippi rivers together through interdisciplinary arts.